It’s A Wrap – Part One. It has been a very busy year for Babs so there were far and few television programmes watched with regularity. Thankfully I have a DVR and with boxed set DVDs and friends abroad it has allowed me to catch up on some great TV viewing. Here are my faves and the reasons why I stay glued to the flat screen. 1. The new kid on the block – AMERICAN HORROR STORY. The wondrous creators of ‘Glee’ and ‘Nip/Tuck’ – Brad Falchuck and Ryan Murphy are responsible for this campy take on the haunted house theme. A young family movie into a house in Los Angeles to repair some damage done due to daddy’s infidelity. Full of naughty housekeepers in garters or with glass eyes, a rubber gimp suit, creepy neighbours, ghosts past and present, a homo couple and references to the pitfalls of childbirth and children to boot! It is a real treat, crafty and creepy, a guilty pleasure – minus the guilt! 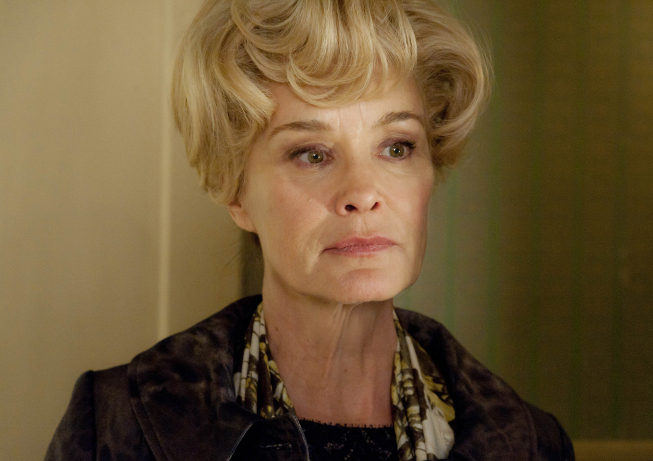 Jessica Lange in her SAG and Golden Globe nominated role as southern neighbour Constance is the shows highlight amongst many. Renewed for a second season, this time with a different family, house and ghosts I can’t wait to be horrorfied again. 2. 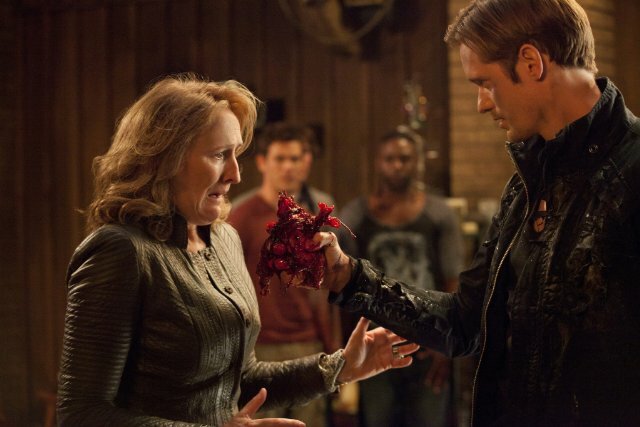 The silliest stalwart – TRUE BLOOD Season 4. 3. 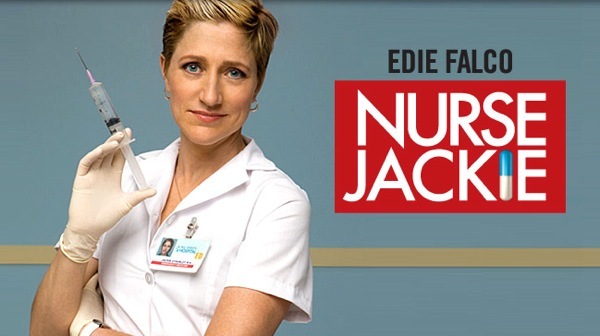 Never a pain – NURSE JACKIE Season 3. Edie Falco, warts and all, returned as the most flawed character I can recall on the small screen. This season a new nurse entered the frame and he was right on Jackie’s case. She managed to dodge the bullets of last seasons revelation that she is indeed a pill popping addict using prescription drugs to avoid the pains of life in a big city hospital – juggling a dual life at home and at work, the final episode in which she pulled the two- faced whammy and asked her husband to get out of the house was a whopper. 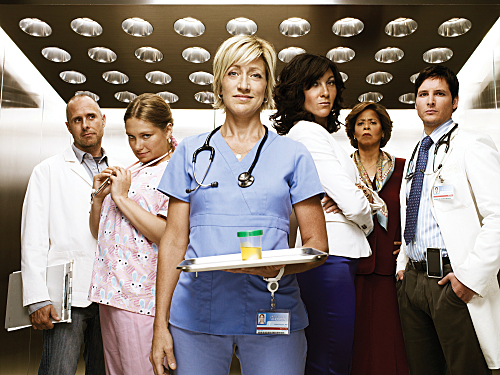 Falco leads this great ensemble with a riveting performance, Eve Best as the best friend continued to delight as do the rest of the staff of All Saints hospital in NYC all helping to make this series one of the best shows on TV right now. It shows no sign of losing its appeal making me want for another hit – am I an addict? 4. Medievil Mafiosa – GAME OF THRONES. HBO – well those 3 capital letters they do make you stand up and take notice. New to the quality stable of series comes a show that is a real treat. It has been tagged as a ‘The Sopranos” in Middle Earth but it is far more than that. Filmed in Ireland and Malta the scenery is glorious and production values are of the highest order making this show flawless and allowing you to immerse yourself into the fantasy world that simply makes you believe. Fine acting from a mostly British/European cast and an Emmy winning performance by the little man of the moment Peter Dinklage (The Station Agent) this series follows many clans across many kingdoms who covet the throne to rule all. It took me a while to work out who was who and what the hell was going on at times, but it has individual scenes that were riveting and as a whole was entirely engrossing. 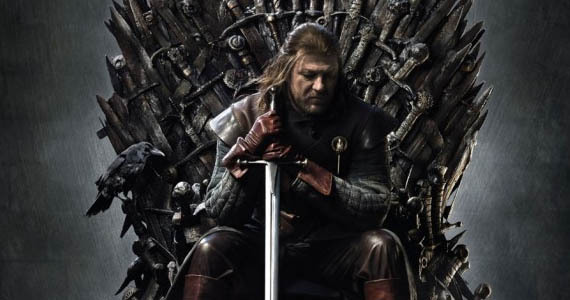 Once I found my way around the clans of the Starks, the Lannisters, the Targaryens, and so on I was hooked. Production design and costumes should be singled out along with seamless CGI that has you seeing and believing in this wondrous other world. The title sequence is superb as well. Mention must be made of the final scene, I was absolutely stunned, it came from nowhere but once revealed I cannot recall a single image like it in recent times, it shook my world and will surely shake up the next eagerly awaited sophomore season of this great show. The musical maniacs of McKinley high school returned and whilst the episodes were very patchy and uneven, when it soared it was well worth the effort of persevering with this pioneering show. The episode in which virginity was lost between a heterosexual and homosexual couple of kids was a highlight, though not as controversial as they say, it cleverly used the staging of the musical of West Side Story to great effect. Sue Sylvester had her usual quotas of clingers – always a delight. I am looking forward to the new series ‘Smash” that follows in the musical footsteps of this favourite of mine. Perhaps setting a long overdue benchmark for quality television out of Australia this controversial suburban soap opera had everyones tongues wagging. ‘Who’s side are you on?’ was the tagline – following the aftermath of a family BBQ in which a child was slapped by another adult, not his parents. Based on the acclaimed popular novel by Christos Tsiolkas each episode concentrated on a separate character as the saga continued. Covering many hot topic issues and featuring a multicultural cast the performances were first class, the writing gratefully accomplished and the production values at the top end of the scale. It was a welcome change on the local television scene. 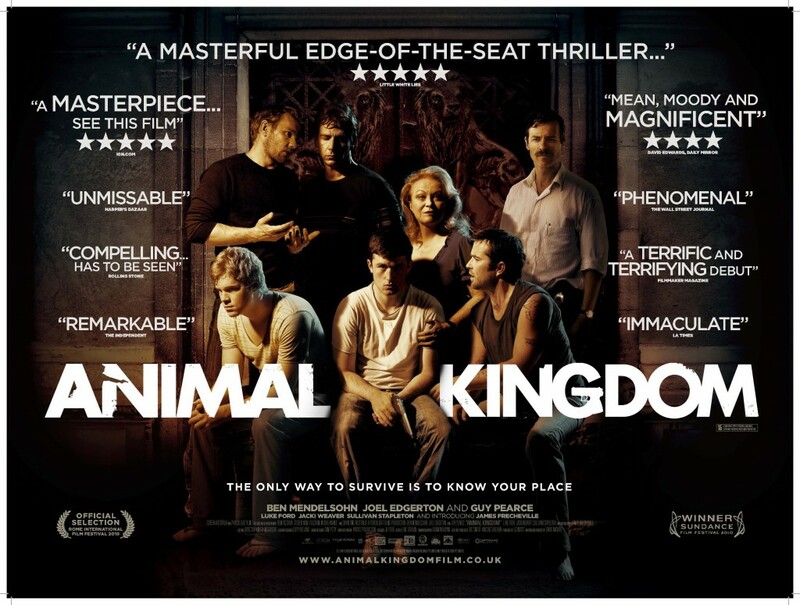 Kudos to cinematographer Andy Commis who created a cinematic canvas that is unusual for Aussie drama. Please don’t die on us – THE BIG C season 2. 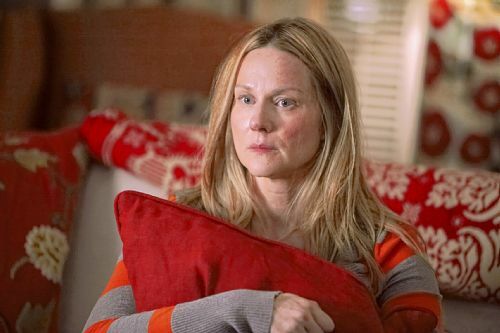 Laura Linney returned as Cathy with terminal cancer – at times she can be very self righteous and selfish but then she is dying so I guess all can be forgiven. This dramedy had some fine moments and some terrific guest stars – Hugh Dancy & Parker Posey. 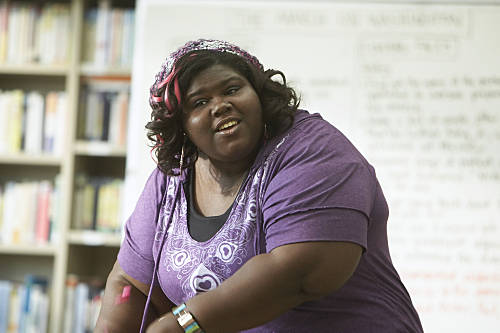 It was good to see the character of Andrea played by Oscar nominee Gabourey Sidibe (Precious) fully fleshed out this time. Unfortunately I missed a couple of eps midway but the final episode packed a sentimental but very powerful wallop, making me feel I had run an emotional marathon myself. MODERN FAMILY – a great cast of characters both the adults and the kids, constantly funny, I don’t watch religiously but I am always pleased when I catch eps every now and again. THE LOVE BOAT (reruns on 11) – I love catching up on the retro guest stars often Hollywood icons long dead and TV has beens. Silly storlylines that keep me interested even though oh so cliched. THE GOLDEN GIRLS (reruns on Gem) – A TV comedy classic with a great cast of elder actresses. Betty White is the last dame standing as sadly the other 3 cast members Bea Arthur, Rue McClanahan and Estelle Getty are no longer with us. Perfect comic timing and wonderful retro references tickle my funny bone a plenty. I blabbed a while ago about the new Showtime series “The Big C” starring Laura Linney. Well it turns out Australia is getting the series much sooner than I thought. Starting this Wendnesday at 9.30 on the new GEM channel Channel 90. I have seen the pilot episode and it has great potential. 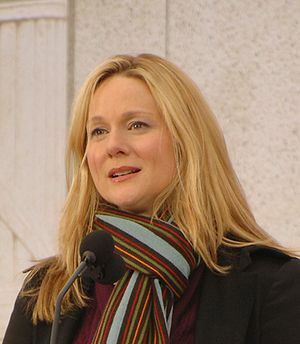 Laura Linney is superb. Set your DVC and record. This is how I went at the 62nd Primetime Emmy Awards (in the catergories I tried to predict or wished to win) Winners in red. Supporting Actor in comedy – ERIC STONESTREET (MODERN FAMILY), soft spot for Chris Colfer (Glee). Predict – Eric Stonestreet. Actor in drama – MICHAEL C. HALL (DEXTER) should win. WOW real surprise winner – Kyra Sedgwick – The Closer. Supporting Actress in drama – ARCHIE PUNJABI (THE GOOD WIFE), predict. 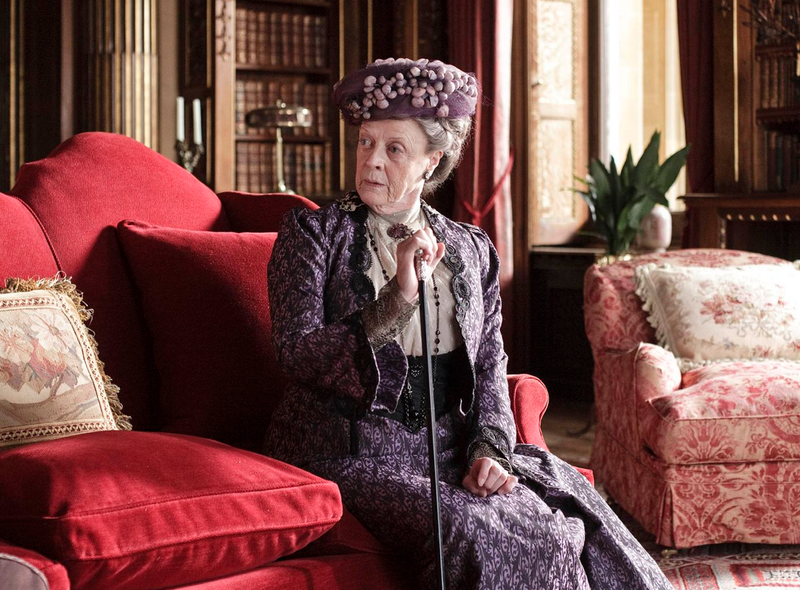 Actress in a mini-series or tv movie – MAGGIE SMITH (CAPTURING MARY), predict Joan Allen -Georgia O’Keeffe. Winner – Claire Danes, Temple Grandin. Winner – Julia Ormond, Temple Grandin. Writing for a Comedy Series – Steven Levitan, Christopher Lloyd – MODERN FAMILY (Pilot). 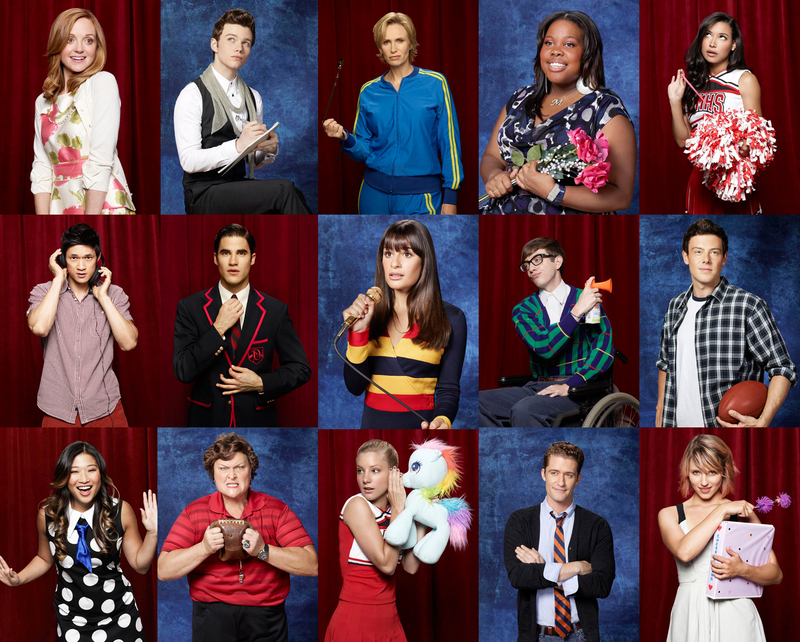 Directing for a Comedy Series – Ryan Murphy – GLEE, Director’s Cut (Pilot). Reality – Competion Program – TOP CHEF. Writing for a Drama Series – Matthew Weiner and Erin Levy – MAD MEN – Shut the Door. Directing for a Drama Series – Steve Shill – DEXTER – The Getaway. Writing for a Variety, Music or Comedy Special – 63rd ANNUAL TONY AWARDS. Directing for a Variety, Music or Comedy Special – Bucky Gunts – VANCOUVER 2010 OLYMPIC WINTER GAMES OPENING CEREMONY. Variety, Music or Comedy Special – THE DAILY SHOW WITH JON STEWART. Writing for a Mini-series,Movie or Drama Special – Adam Mazer – YOU DON’T KNOW JACK. Directing for a Mini-series, Movie or Drama Special – Mick Jackson – TEMPLE GRANDIN. Here are some pics of red carpet arrivals. Loser Toni Collette (smile Toni) “Tara” in The United States Of Tara. Winner – Jane Lynch “Sue Sylvester” in Glee (Ali Rahimi frock). Nominee Susan Sarandon with daughter Eva Amurri looking stunning as per usual. 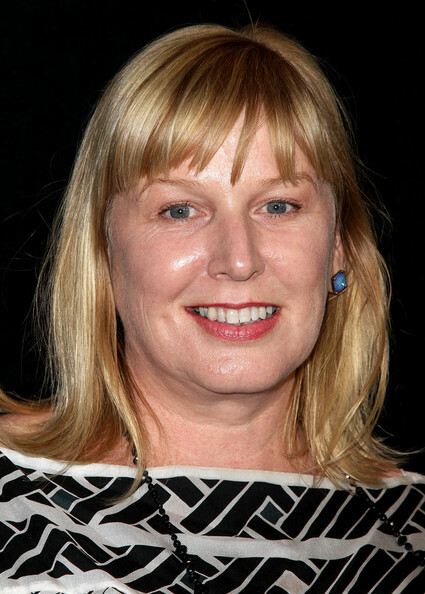 SHOWTIME, the great cable tv programmer has just premiered a new comedy series featuring another flawed mum. 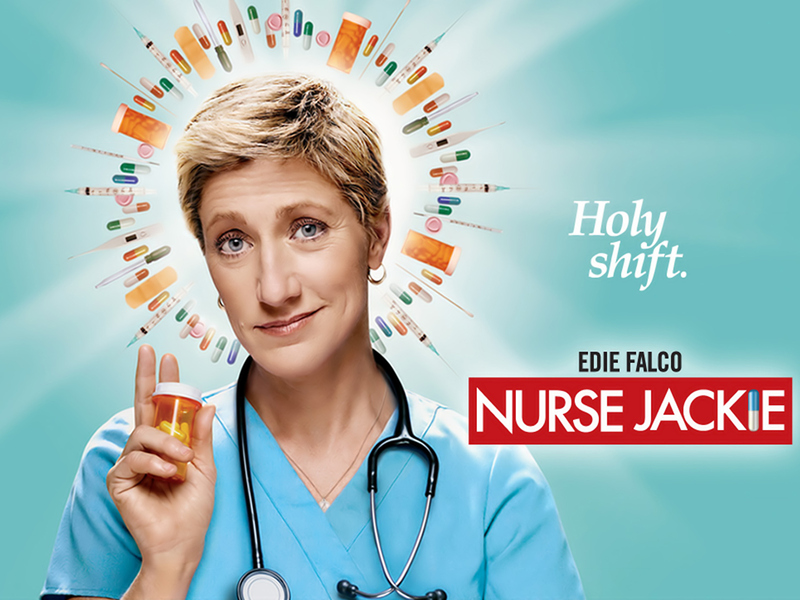 Following in the footsteps of Mary Louise Parker (pot dealing mum) WEEDS, Toni Collette (multi personality mum) THE UNITED STATES OF TARA, Edie Falco (pill popping, 2 timing nurse mum) NURSE JACKIE. 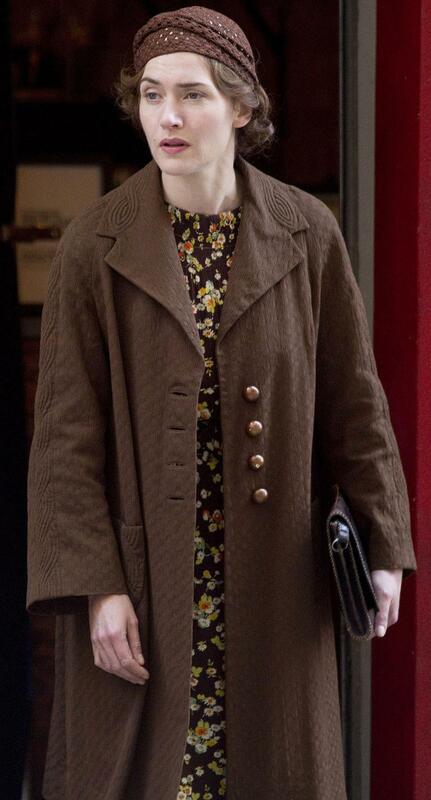 Here comes the fabulous Laura Linney in “THE BIG C”. 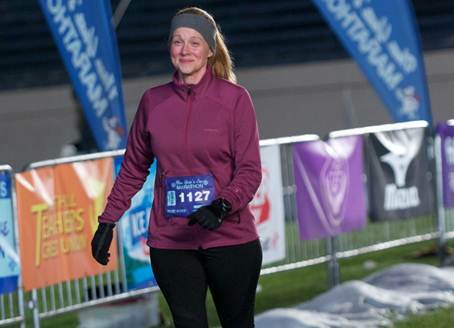 She plays the character of Cathy Jamison, a school teacher, who is diagnosed with stage 4 melanoma (hence the title Big C), rather than take the required treatment, she opts to enjoy the rest of her time on this planet. This sets her loose, transforming from a straight laced mum to a wild and wacky mum, much to the frustrations of her family and colleagues, with whom she has decided to keep her diagnosis a secret. It’s a controversial subject, but aren’t all of the above mentioned shows? Also in the cast is Oliver Platt as her estranged husband, and the wonderful Gabourey Sidibes (Precious) as an overweight student. The pilot was directed by Bill Condon (Dreamgirls, Gods & Monsters). The reviews, though a little mixed, have garnered praise for Laura Linney. 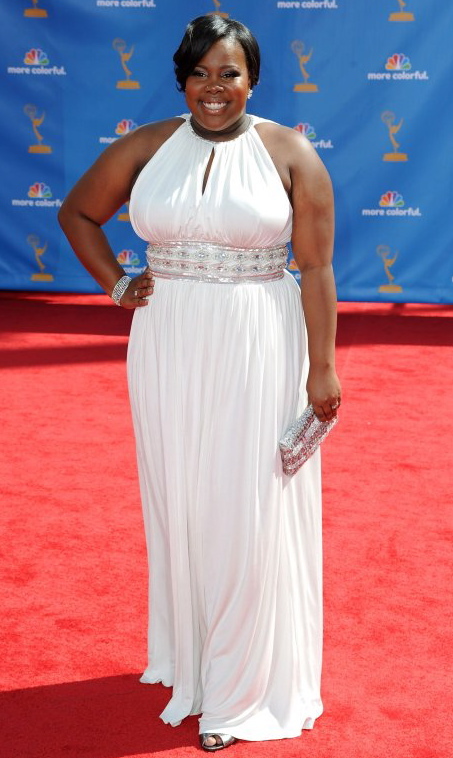 Expect her name on the list of next years Emmy noms, following in the footsteps of the other Showtime mums. It was a big ratings success on its first screening, so I can assume she will be around for a while. Of course I have no idea when it will hit Australian TV, will keep you posted. Footnote: 2 Showtime mums, Edie Falco & Toni Collette go head to head in the category of best leading actress in a comedy series, at this years Emmy awards. Both are the top faves to win. I really want Edie to pip Toni at the post. If she does she will become the first actress to win an Emmy for both drama & comedy leading actress – she has previously won 3 times for The Sopranos. The only other person to do so was Carroll O’Connor who won best leading actor Emmys for comedy (All In The Family) & drama (In The Heat Of The Night). And Toni won last year for a performance that grated on me, and reeked of “look at me voters”. In my own opinion. It is sometimes very hard to keep up to date with the latest happening hip television series. Who has the time?, and in Australia, the TV programs of merit are usually on PayTV or delegated to very late night slots on free-to-air. Of course now that I own a DVD recorder at least I can tape the late night screenings. It takes ages for them to be released on DVD. Thank god for Amazon.com. There are so many around now it is astonishing. Weeds, The Wire, Breaking Bad, True Blood, Pushing Daisies Oz, Dexter , Glee , Entourage, 30 Rock, Mad Men (some still in production, some cancelled). And beware! many more to come, of which I will keep you posted – The C Word & A Miraculous Year for example. How many times does somebody tell you….oh have you seen that great show????? I am still catching up with most of them. And god forgive me, I never got into Six Feet Under, or The Sopranos (I am sure one day I will). Just for the record, I am a big fan of Weeds, Oz, True Blood, Glee & Pushing Daisies. Which brings me to my next blab. Produced by Showtime, who are responsible for a lot of the above mentioned. It stars the suberb Edie Falco, formely of The Sopranos. 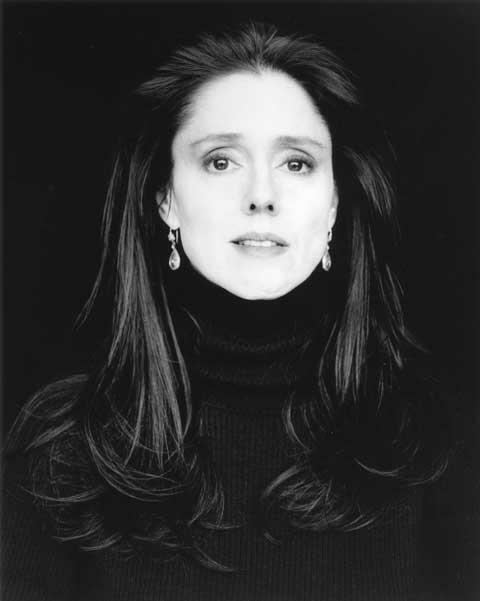 She was a multi award winner for her Soprano role, and she has her set of devoted admirers. Now you can add me to that list. Basically it is a half hour show that details the life of a very dedicated nurse as she deals with a serious addiction to prescription drugs, infidelity, family life ands it’s ups and downs, the tragedies of an emergency department in a major city hospital, (show is set & filmed in New York City), leading a double life. The list goes on. Great fodder for a series that you can seriously become addicted to. The show triumphs due to the fact that the characters are very real and recognisable, the situations seem very lifelike, and up pops an absurd moment. I think the true reason the show works is that all of the characters are seriously flawed, therefore anyone who is honest with themselves can relate. The only argument I have is that the show is classed as a comedy (well at least at award time), but I feel it is more a drama with some comic moments. Beats me who decides what is what. Aside from the wonderful Miss Falco, the show has a terrific supporting cast. And to be honest an oddball performance that doesn’t quite fit in, but is amusing anyway. I won’t go into all of them, you will have to see for yourself, and choose your own faves. But for me. 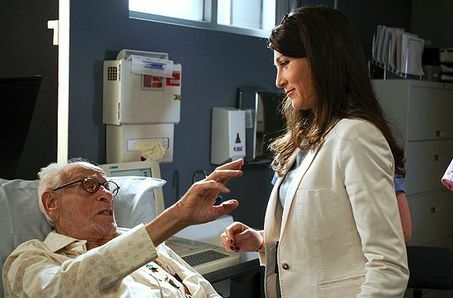 I love Eve Best as Nurse Jackie’s confidant, she plays a doctor (obviously well paid) with a taste for designer duds, and a penchant for fine dining restaurants, which are often a highlight of some eps. She knows Jackie’s secret, and has a great sense of humour. I am looking forward to her character development. Eve Best is an English actress, who came to fame with Gotham audiences with her Tony nominated performance in a revival of “A Moon For The Misbegotten”, a few years ago. Casting agents must have been impressed. I also enjoy the performance of Merrit Wever as Zoe, a student nurse, she is at once jovial and perky, and then reflective and sad when the realities of nursing in a big city hospital hits home. Her scenes with Miss Falco are a delight. The male characters are kind of interesting as well, but I feel the female roles are more rounded. The one oddball out, is Anna Deavere Smith (herself a respected playwrite in NYC) as the head honcho of the department, she seems to fly in like the wicked witch of the west, and her performance is just as highly OTT as the great Margaret Hamilton, it sticks out like a sore thumb. Then again, she is very watchable. The show has been nominated for a swag of Emmys this year, of course Miss Falco is up there for best actress in a comedy. The veteran actor Eli Wallach has been nominated for his guest appearance as a man dying ,and trying to keep it from his wife, he was superb. Plus various technical nods and one for direction for it’s very strong pilot episode. Please forgive me for being behind the 8 ball on this show, and if you haven’t caught up with it yet, go buy the DVD. I am sure you will fall in love with Nurse Jackie and all her friends, warts & all. Footnote: I am only up to episode 5 of season 1, so there is a way to go. 2 seasons have been produced. I am very excited as it seems a swag of Broadway performers turn up. For example the great Judith Ivey, and Blythe Danner, can’t wait to see them. Thank god for shows produced and filmed in New York, so many wonderful performers from stage turn up giving such good performances.